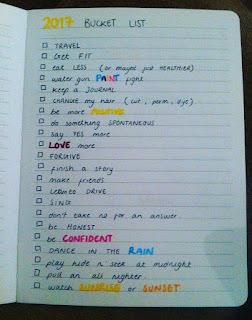 Am I the only one who LOVES bucket lists?! Or the only one who struggles to keep them realistic and achievable? Although somewhat difficult to write, bucket lists are great! What I love is that you can literally make a bucket list on anything and everything! For example, you could make a: seasonal (summer, autumn, winter, spring), a new years (2017), a more specific (fitness), or a lifetime bucket list. There's ENDLESS amounts! Don't follow it. Bucket lists are supposed to be random and fun, things that you probably wouldn't do everyday- you don't have to know the exact details of it. Okay, maybe don't completely disregard the SMART targets, because it needs to be at least a little bit realistic and achievable otherwise it'll be sitting on that list FOREVER! It's all about making it FUN, or even something you just need to improve/ randomly want to do. Okay I know what you're thinking,"that's not going to last long", well it's worth a shot! I guess the simple answer as to why I wanna get fit is because I'm not a big fan on the way I look, so I'm gonna get ma muscles on! Clearly there's a lot of things I want to be MORE of! It's never too late to be more of something, especially loving. LOVE, LOVE, LOVE. I'm just trying to have a brighter outlook on life- like Pres Thomas S Monson says: "you do not find the happy life, you make it". You would not BELIEVE how many books I've started writing but never finished, and one of my biggest 'goals' is to complete a story because I dunno I just love writing and one deserves to be finished. Sooo here's just a few of the things on my 2017 bucket list, I hope you kinda get the gist of how bucket lists should be, or at least recognized and appreciate how much I LOVE them. Oh, dancing in the rain is so much fun! I am a huge fan of lists and planning but i never follow the SMART rule. I prefer to prioritize things on my own. I always think about making bucket lists and actually I made one for 2016 where I barely did half of the things I had written down. I have now decided to let it be! 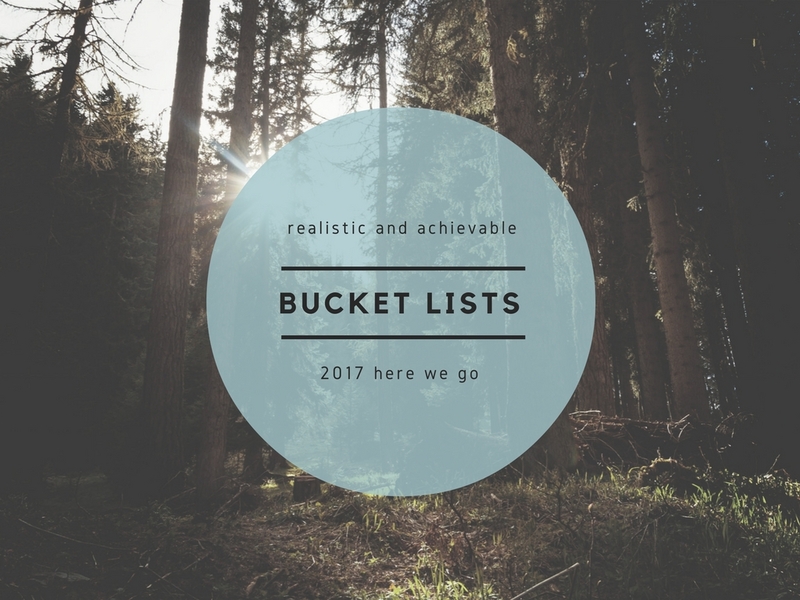 I love bucket lists, I think they're a great way to achieve things! 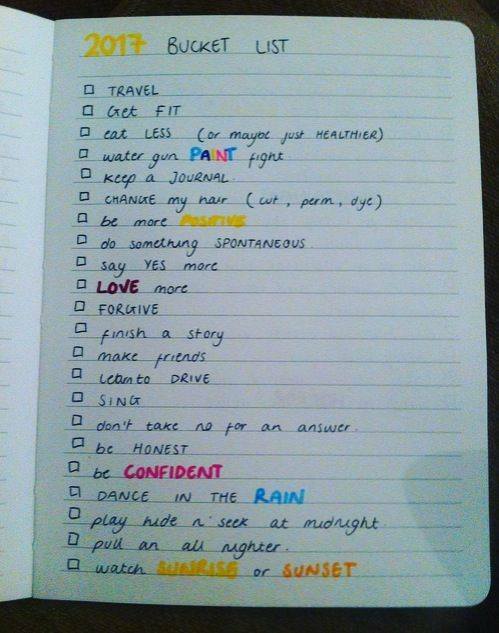 Your list is really good, good luck ticking them all off! Vienna has been on my bucket list for a while and everyone who's been has nothing but good things to say - your post got me even more excited now :) I love your pictures! Hello people of the internet! Welcome to our BLOG! 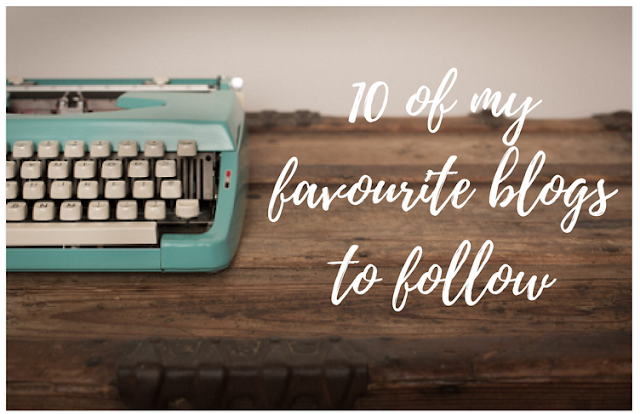 Here you will find some fun DIY ideas, yummy recipes, Places to visit, beauty tips and more all from us FIVE sisters in this ONE blog. Enjoy! The A-Z Happy Life Saturdays!